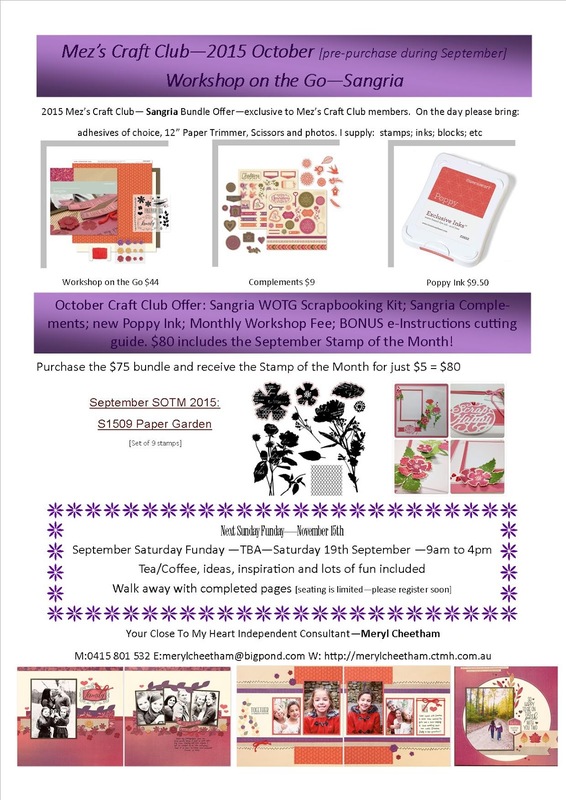 Sangria is the featured papers for October and I'm so excited. 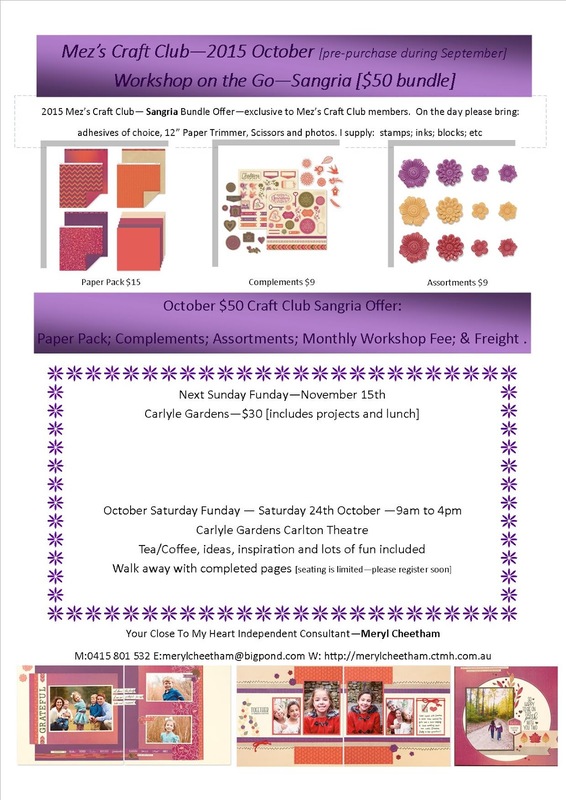 Close to My Heart have brought us a beautiful combination of colours and papers, embellishments and so much more with Sangria! 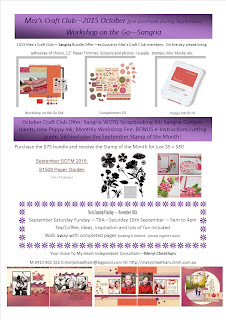 Here s what you receive in my Craft Club October pack! 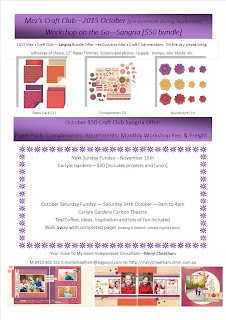 Contact Mez to purchase either bundle and to schedule your event or for more information!